TSPlayer - Admin allows a complete administration of the audio player "SECURE-TSPlayer" from user's website and is distributed under GNU/GPL License. Feel free to download and test this software, very practical to integrate the music player in your website. The administration panel for the music player was implemented in PHP Script to be compatible with most of web servers with minimal software requirements. TSPlayer - Admin allows to manage playlists, as well as the audio files and images. Some functionalities are not present in the product demo for security reasons, but these features are not essential in the control panel demo. Note: In this case the music player is included in the product distribution, you don't have to configure the music player with the control panel. The PHP Script must be supported by the web server. Notice: Depending of version adquired of TSPlayer admin (if was included the music player or not), you must to upload the music player code to the web server. If you will use the TSPlayer admin to manage the images and audio files, then you must to assign permissions for writing in the resources directory. Unzip the distribution package and upload the tsplayer_admin directory to the root of your website. Leave empty the administrator password, it is defined after. Go to section "System Configuration" to define the administrator password, the location of resources folder, the location of music player folder and the location of skin's folder. To sign in "SECURE-TSPlayer Admin V2.0", go to the webpage http://www.your-domain.com/tsplayer_admin/index.php (Fig. 1). Enter the administrator password, initially the administrator password is empty. The administrator password is defined in the section "System Configuration". Enter the administration password: Use an administration password to prevent intruders from accessing your administration system. Strongly recommended. Enter the resources folder location: Set the location of folder containing the MP3 files for playback, and the associated images in JPG format. The resources folder requires permissions for writing, its location must be relative to the website root (starting by the "/" symbol). Enter the players folder location: Set the location of SECURE-TSPlayer folder. 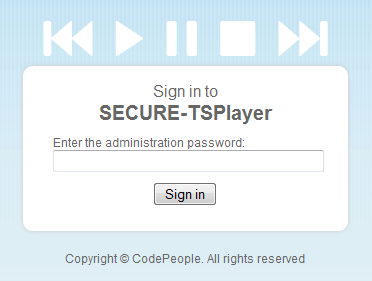 The SECURE-TSPlayer folder require permissions for writting, the new music players will be created inside. 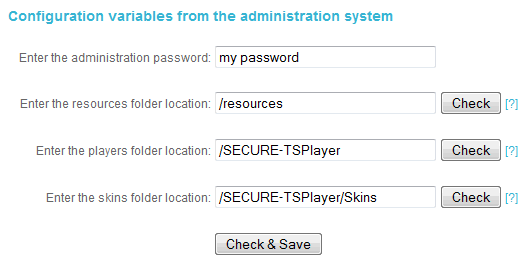 The location of SECURE-TSPlayer folder must be relative to the website root (starting by the "/" symbol). Enter the skins folder location: Set the location of folder containing the interfaces of music player. The location of skins folder must be relative to the website root (starting by the "/" symbol). The separator between folders to locate in different setup fields must be the symbol "/" (never "\"). All actions over music players: creation, edition and deletion are made in the "Players" section (Fig. 3). The "Players" section has two columns: "left" and "right". In the left column is the button "New music player", press it if you want to create a new music player, and the list of players created previously. The trash icon beside the music player is used to remove the player. Notice: Be careful removing a music player, it can be in use on some web pages of your website. The right column contains a wizard form to create or modify a music player. The playlist step (Fig. 4), place where is declared each MP3 file to playback in the music player, as the associated image and the related information. The Setup step (Fig. 5), containing a set of options to configure the music player: The interface to use, the initial volume and others. Output step (Fig. 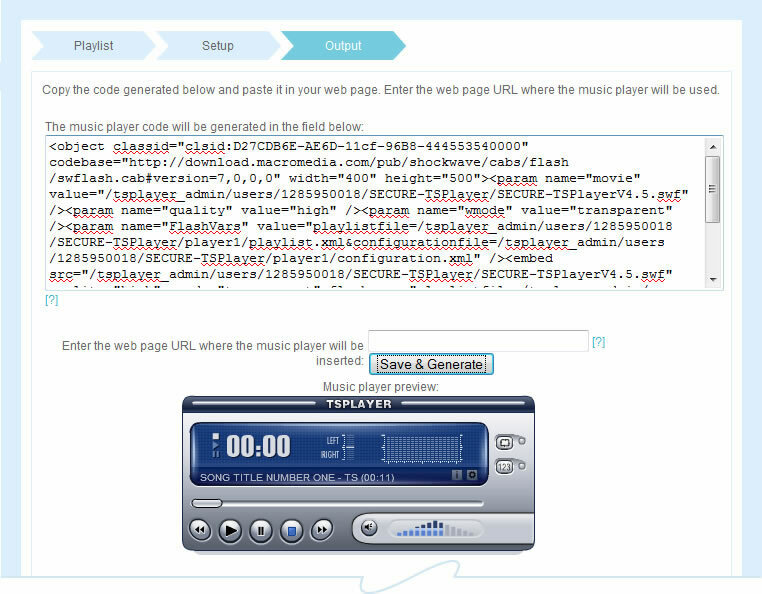 6) to generate the music player and the code to be pasted in the webpage of the website. The audio's title to be shown in the music player during playback. The location of the MP3 audio file. This is the only mandatory field. The URL to a webpage with additional information associated to the audio file, as well as a sales or download page. The location of an JPG image that will be shown in the player while playing the MP3 file. Normally this field is used to display the CD's cover. To add or delete elements in the playlist, simply use buttons "+" and "-". To modify a playlist element, click on the field that you wish to modify and edit it. Select a skin for the music player: select the music player interface. The skins are stored in the skin folder entered in the "System Setup" section. Enter a secure password for the music player: the password entered will be used to playback the audio files in the secure mode. Select a volume by default: initial volume of music player. 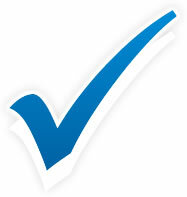 Check the box to display the playlist: determines if the playlist is visible (or not). Check the box to activate the autoplay in the music player: the music player start the playback automatically upon full page download, or waits for the user action. Check the box to activate repeat playlist button: the music player repeat the playlist in a loop. Check the box to activate the shuffling playlist button: the audio files are selected randomly from the playlist or played in sequence. In the third step is completed the creation of the audio player. In this step is created a folder containing the XML file with the playlist definition and the settings of the audio player. If the music player will be used in safe mode, is generated a PHP script file for access to the MP3 files. Before generate the music player, is recommended to enter the URL where the music player will be inserted. The URL field is only used in the administration system as a label to identify the music player and detect the webpage affected if the music player is removed or modified. Notice: To create each player, the PHP script file must be taken from http://www.tsplayer.com/tsplayer_admin/getDownloadScript.php. This way the file is actualized, and free from any anomalies that users may report to developers. Therefore internet connectivity is required to create a player. Once an audio player is created its code will appear in the text area. This code must be pasted on the web page of your website. Under the text area, the audio player is shown already functional with the playlist and settings applied. The "Files" section (Fig. 7) can be accessed through the "Files" option in the main menu. In this section (only accessible in the full featured version of administration system) it is possible to upload, rename or remove files and folders, from the resource folder location (defined in the "System Setup" section). Why I can't see any audio files in the playlist generation? Why I can't upload the resource files? How I can to use another skin with the Control Panel? Why I can't to create a music player in safe mode through the control panel installed in my computer? Why I can't to create new music players? Is distributed the music player with the control panel? Why I have not the Files section in my control panel? Notice: Remember the TSPlayer uses MP3 files only, for audio files, and JPG for images. Second, check the permissions in the resources folder, are required permissions for writting if you want to use the control panel to publish the images and audio files to use in TSPlayer. If you have purchased other skins for the music player then, upload the .swf files to the skins folder, defined in the configuration section. The new skins will are available in the music player's creation process. The control panel requires downloading from our web server a PHP script that allows the access to audio files in safe mode. The local copy of the control panel can't to access to our web server. You must to generate the music players in safe mode from a control panel in an online web server. Each music player is created in its own directory inside the "players folder location", defined in the configuration section. The players folder location requires permissions for writing or will be not possible generating new music players. Only in the version titled: "Full Feature + TSPlayer". If you have adquired a different version of control panel, then you only must to purchase the TSPlayer product, upload the SECURE-TSPlayer folder to your web server and configure the path to this folder in the configuration section of control panel. The files section is only available in the versions for sale of control panel, the free version of the control panel don't has available the files section. Maybe it's the existence of this tool (as the variety of interfaces) that motivates me to recommend this music player to my clients. It is the product that I have used in the majority of my projects for third parties. The mix of all its functionalities: from audio files management to the playlist generation and publication of music player, all in the same interface, make this product a required solution in the music market, where the main providers, the musicians, are usually not good computer programmers but instead are keen consumers of tools that allow them to publish their work as quickly and easily as possible. Every time I go for new clients, I create a new music player with a possible compilation disc to demonstrate them what the final product would sound like. I use the music player to publish my conferences for my students, I don't know very much about website development, but through this control panel I do it in a very straightforward manner. My passion is to write about the beautiful things of everyday, my friends recommend me to use a relaxant song in background to complete the look and feel of my blogs. To be honest this music player has satisfied my expectations.